Three-D Architectural Printed Models (TAP Models) was formed by a group of Melbourne architects who saw the great potential for creating architectural models using 3D printing technology. As a specialist service for architects we bring our in depth knowledge of the industry to create your model, based on your design brief. We work in close collaboration with our clients to achieve outstanding results. 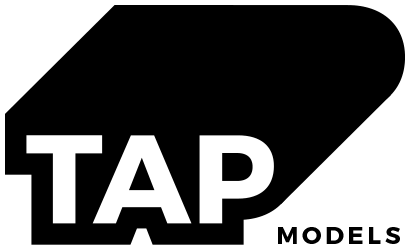 TAP Models are Melbourne’s leading creators of 3D printed architectural models. We believe in the power of 3D models to communicate the nuances of architectural design through high quality craftsmanship. At TAP Models we use state-of-the-art 3D printing equipment and materials to craft each model to perfection. Our architects use their finely tuned design skills and technical knowledge to ensure each model captures the individual characteristics of your design brief. We are committed to working closely with our clients to achieve an outstanding result, no matter the size, scope or location of the project. As Melbourne architects we have an in-depth knowledge of its architectural landscape and love the opportunity to work closely with our local clients. At TAP Models we use the latest 3D printers to craft each model. This technology provides the highest quality result, ensuring reliability and precision throughout the printing process. We run each of our models through a slicing software to get the best results. We use a large build volume printer with a maximum size platform to enhance our printing efficiency. Our printer is fitted with a built-in air filter to absorb fumes for a comfortable working environment. All our models are printed from a high quality, Australian made ABS plastic filament. The high temperature resistance, strength and flexibility provided by ABS plastic make it the ideal material for creating precision printed 3D models. We also use a variety of other filaments such as ABS+, PLA, PLA blends of wood / metal for specialized projects.